Newly renovated. New flooring throughout, brand new appliances, and renovated master shower makes this premiere ocean side condominium the perfect choice for your vacation. 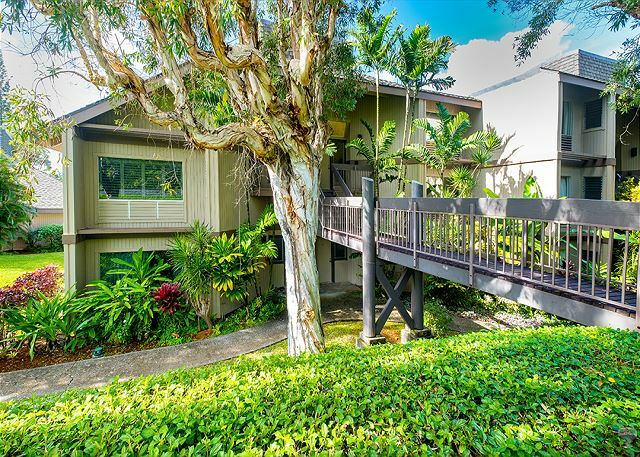 Perched on an ocean bluff near Hanalei Bay, Pali Ke Kua Unit #241 is a one bedroom + loft, two bath, second floor unit with sweeping ocean views. 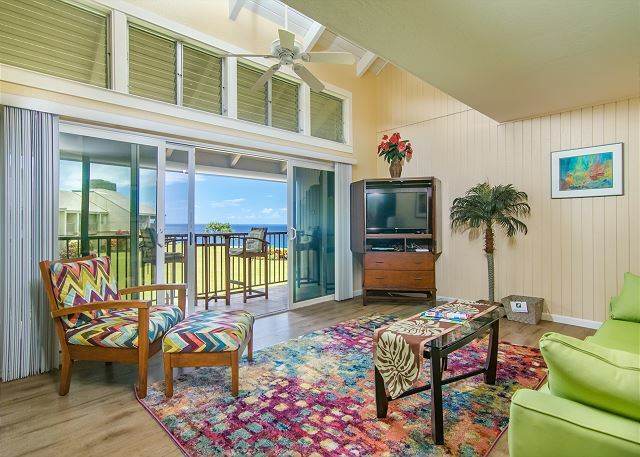 The family room and dining area bright with tropical colors, creating an atmosphere as whimsical and carefree, like your vacation should be, large windows and a sliding glass door to a covered lanai. 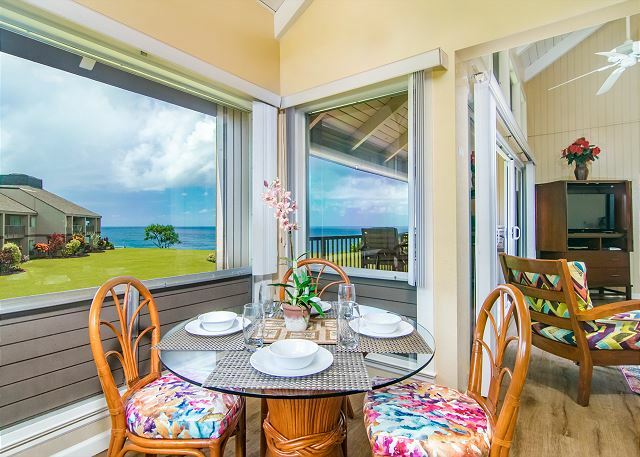 The view from the lanai and surrounding grounds is truly spectacular... sunsets over the famous Bali Hai, the sights and sounds of crashing surf, and the ever-changing ocean and sky. 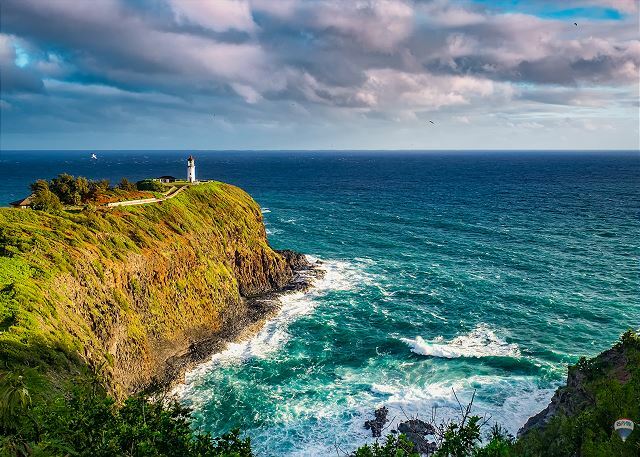 This is one of the best views on the island, and it ranks as one of the best in the world. Pali Ke Kua is the only condominium complex with its own path to the beach. A short stroll across the well-manicured grounds takes you to a private paved beach trail leading to a secluded white sand beach where you can swim and snorkel in the beautiful blue water with tropical fish and large green sea turtles, or simply enjoy a romantic picnic in the private beach pavilion. 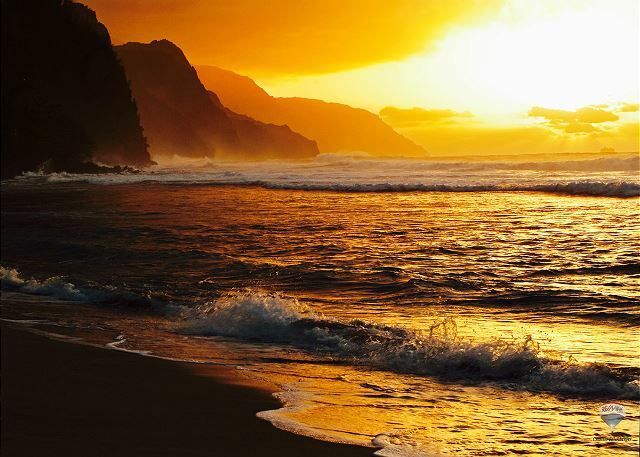 For a truly awesome natural wonder, linger at this beach in the early evening for the most beautiful sunset in the Hawaiian Islands. 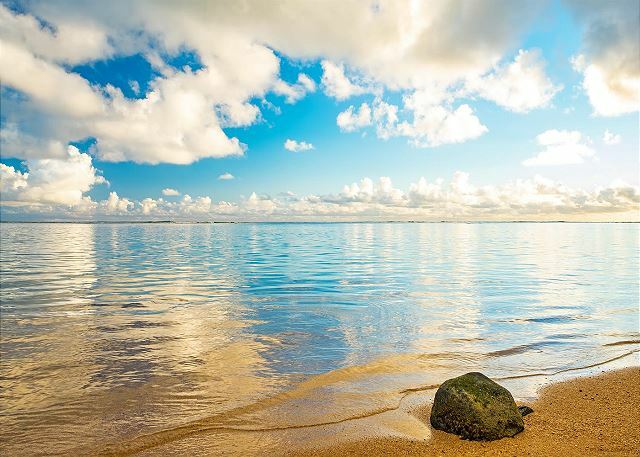 Pristine Hanalei Bay awaits you just a five-minute drive down the hill for surfing, sailing, fishing, boogie boarding, or just plain relaxing at the beach. 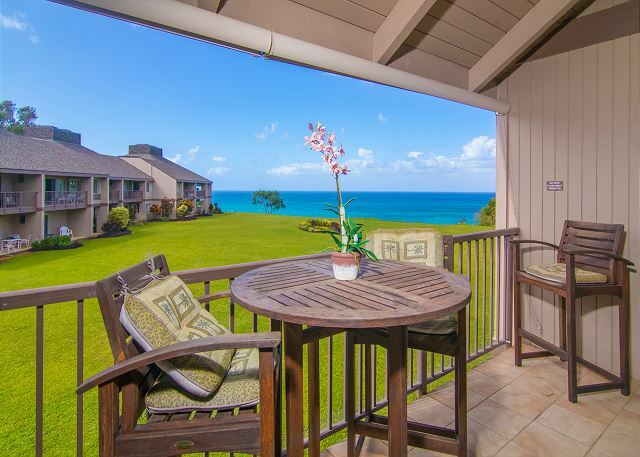 Pali Ke Kua #241 is the perfect condominium rental for your most memorable dream vacation in Hawaii. 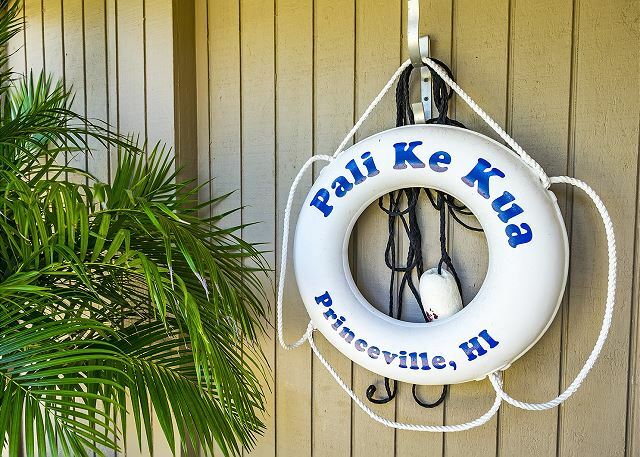 As a guest at Pali Ke Kua #241 & RE/MAX Kauai, you'll have access to Kauai's Premier Concierge Service at (855) 665-2824 http://kauaiva.com/index.html, we will help you build your perfect vacation. Beautiful location with amazing sunsets! Condo is stocked with everything you need. 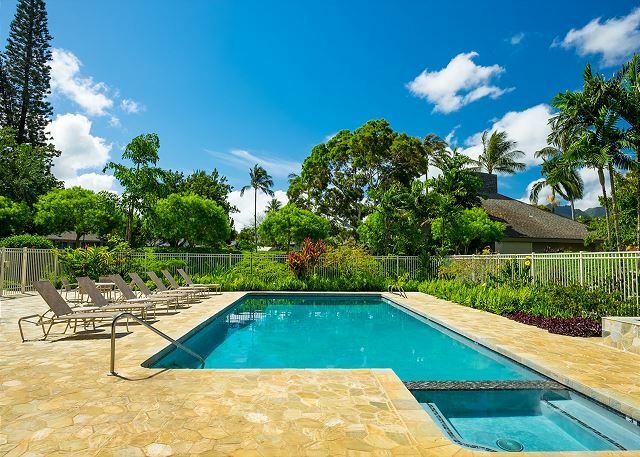 Different from our long term experience with Waileia Ekahi on Maui with its multiple pools, extensive landscaping and well-furnished units. Our Pali Ke Kua experience was generally good. Disappointments about the property include the small size of the pool and pool deck, the poor layout of the pool seating, the lack of shade palms around the pool, the noise from the restaurant and the poor design relationship with the restaurant, which crowds the pool. Disappointments with the unit include the lack of seating in the living room (worked for two people but would not have worked for more), the lanai furniture (bar table and stools not comfortable for sitting and reading plus they blocked the view from inside, no side table for lower chairs so could not put drink down anywhere - we bought a paint bucket from Ace, no chaise which would have been nice for outdoor reading - particularly when the weather was bad). Other small details - need dish cloths in kitchen - sponges don’t cut it when wiping counter, need drain opener and vacuum had no suction - even after I cleaned it out. Otherwise, we were very happy with our stay and liked the unit/development. Amazing views & great location. We enjoyed our stay at PKK 241. 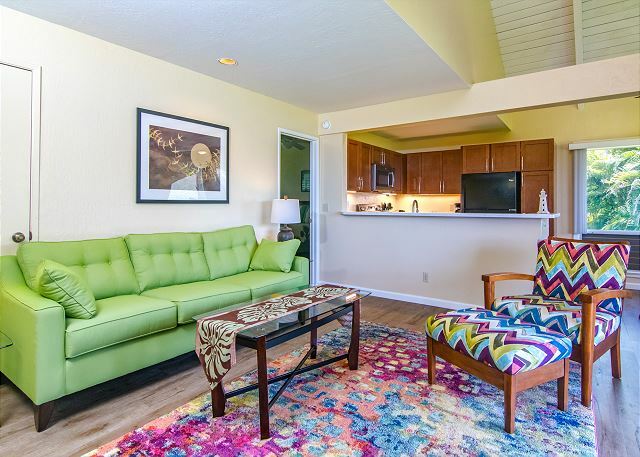 The condo was extremely clean and well maintained. The beaches nearby were gorgeous & my kids enjoyed exploring the property & beach trails. The condo is well stocked with beach towels, cooler, snorkels & boogie boards.... my only suggestion is to update the beach chairs. We would definitely stay here again!!! 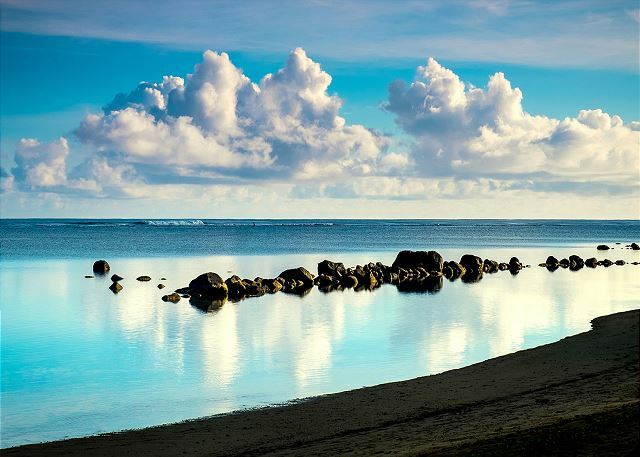 This was THE PERFECT spot for a relaxing, quiet, peacefilled trip to the glorious island of Kauai. 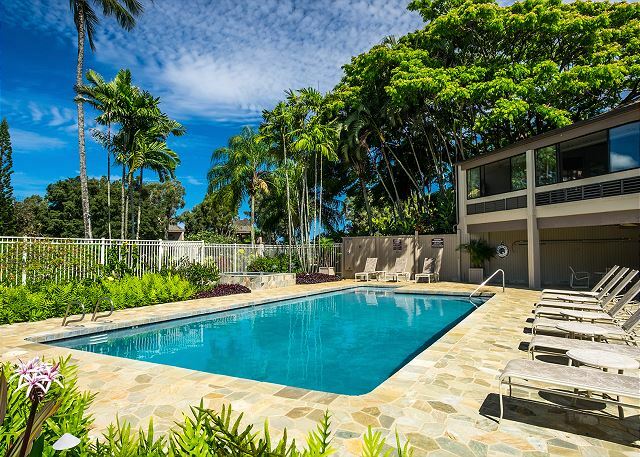 Beautiful grounds, terrific pool, the view, sunsets, nene, egrets, sunshine, tradewinds, parking, flowers blooming everywhere...easy access to everywhere. 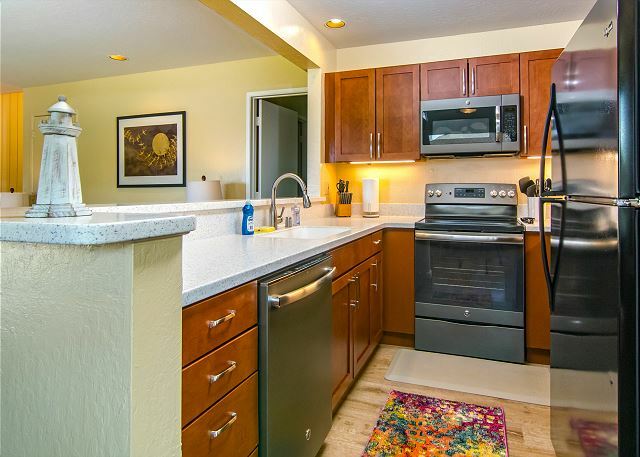 Clean, full of all you would ever need in the kitchen...beach chairs, towels, boogie boards! It's all there...and more. We are ever grateful and left with full hearts and happy smiles...our aloha to all who make this rental available and keep it so lovely! 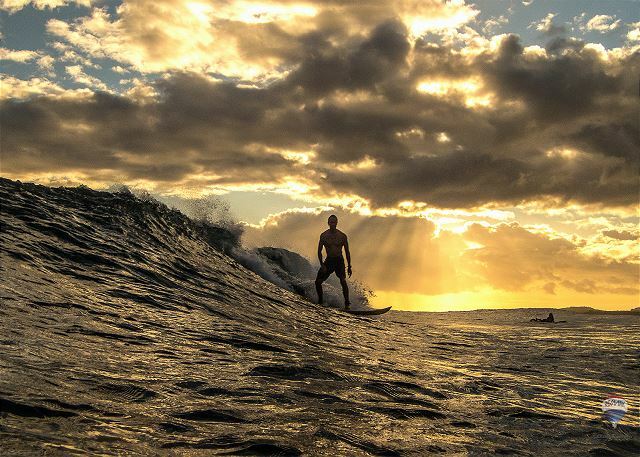 Mahalo Nui from our hearts to yours. The Unit was well stocked with all the essentials & clean. The only issue was no AC. This unit is exposed to afternoon sun & being able to cool down the unit would have been nice. Great location with great walks to the beaches etc. Finding and gaining access to the rental was easy. The only hiccup we had was that I assumed everything on the island would have A/C. We arrived late afternoon to allblinds and window open and the afternoon sun blazing in. It made for a rough start but as we settled in and the sun set, we enjoyed our stay. Property management was very pleasant and responsive to every question. The unit had nice touches like coffee and cookies and starter laundry soaps, beach towels and chairs. It was wonderful to have space to spread out and a beautiful, quiet patio to relax on. Everything was clean and comfortable. Kauai is simply paradise! Recently we visited Hawaii to celebrate our daughter's wedding. It was wonderful. Our stay at Pali Ke Kua was convenient and comfortable. My preference would be to stay on the north side of the island and this location was perfect. It was a short drive to Hanalei, groceries, and activities. A May vaca was perfect for weather conditions. Don't be swayed by the rain - it comes and goes but there is plenty of sun. Immaculate condo with everything we needed. 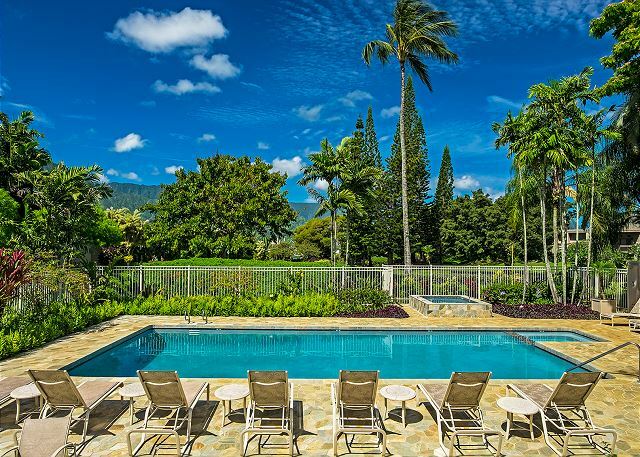 Location was perfect, parking and pool with a beach and Queens Bath within walking distance. The unit was tidy and modernly furnished. We slept downstairs but I can imagine upstairs is very hot with no air con...and we were only there in May!! Can't recommend this place enough otherwise. Loved loved loved this place. Fairly secluded and quiet. Spectacular views. Very clean, spacious and chic island decor. Would not hesitate to stay here again. This was our 10th stay at Pali Ke Kua but our first stay in 241. The condo was very clean and comfortable with a great ocean view. The unit was well maintained and tastefully decorated. Remax is great to work with and provide excellent communication and customer service. We hope to be back! Property and grounds really good. But there is no usable beach not even for wading. The BBQ area is old and not worth using! Both were very disappointing. #241 is a very nice unit with an ocean view. The location of the condo can't be beat for the views of the sea. Also the closeness to shopping and Hanalei is great. The condo was clean and well stocked. The only thing that could use an upgrade are the bathrooms and showers. Not required, however a nice change would be an air conditioner for the bedroom. Dmitri J from Santa Barbara, CA does not recommend this vacation rental. I can rate it as only satisfactory. It was very hot in the unit. TV tier is so basic, it is pretty much unusable. I never saw it that bad on vacation properties. We had a wonderful time staying at Pali Ke Kua 241. 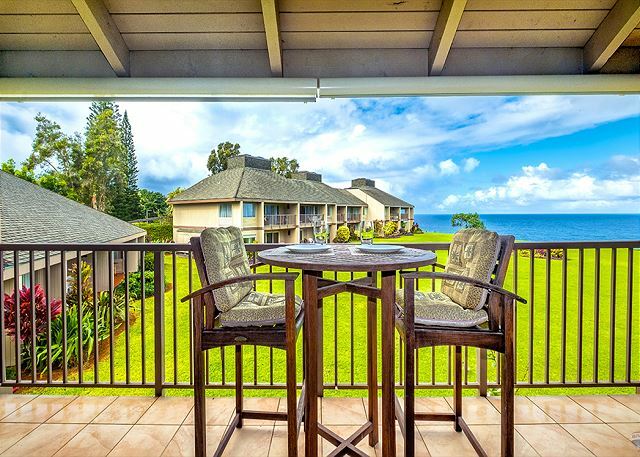 The condo was well maintained and had a beautiful view of the ocean from the lanai. It was the perfect spot to relax and enjoy the island. There is no air conditioning, but the condo cools off nicely with the windows open and the traidwinds blowing. We loved the location and would definitely come back again. Sherrie from REMAX was very helpful in suggesting fun activities for the family. 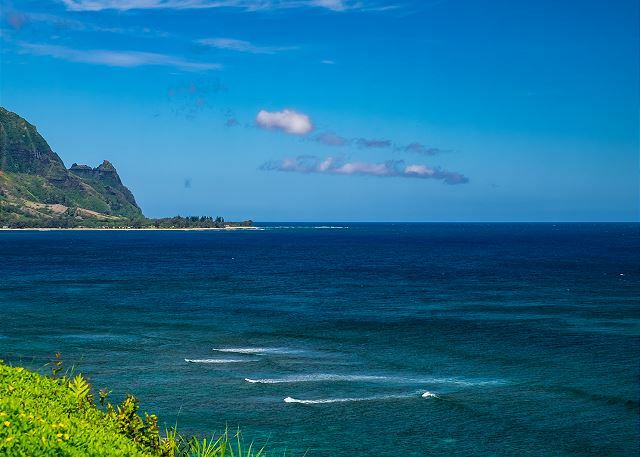 For our honeymoon, this is a great location with easy access to Hanalei and phenomenal sunset views. 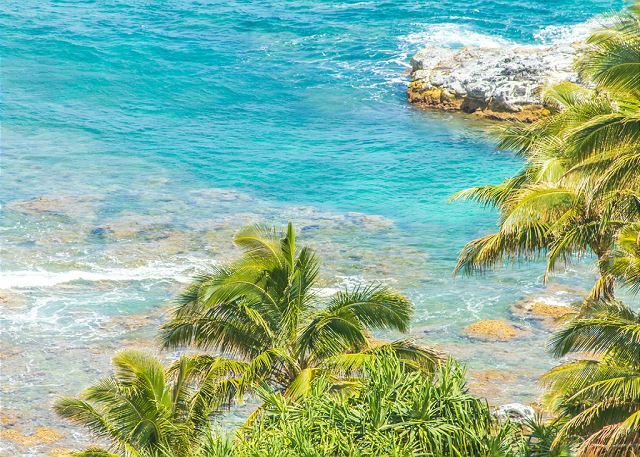 We could quickly get out to all the prime north shore locations including Ne Pali coast, tunnels beach, and a short walk to Queen's bath. 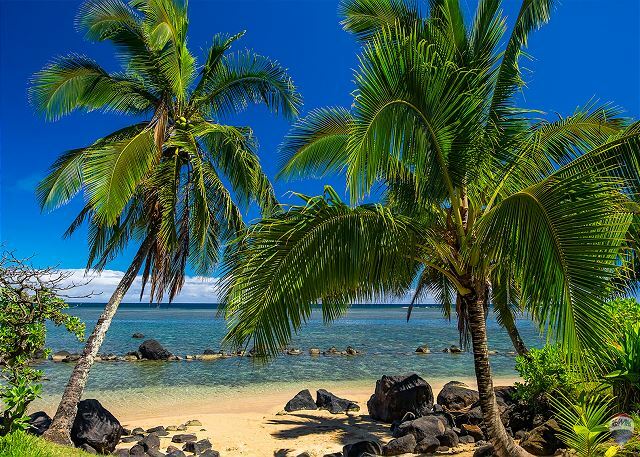 This location also has a guest only to paved access path to Hideway beach, which is calm with great reefs for snorkeling. The only knocks are that our second floor room got pretty hot in the afternoon though it would cool down fairly quickly after sunset. Also, the noise from adjacent units travels fairly easily. All in all, Pali Ke Kua provides excellent quality for the price. We strongly recommend this location. This condo is extremely clean and well equipped. We were very happy with our stay and will be renting it again. Walk down the road a few hundred yards for one of the best sunset views in the world. It was a nice unit. It met our needs and was comfortable. We had issues with wifi, but oh well. There were a few minor details that were a little frustrating, but nothing that detracted from our experience. The condo was very clean and was stocked with everything we needed and more. There were plenty of beach chairs, body boards and even snorkel gear. We spent a lot of our time hanging out on the balcony whale watching. Staring at the water for only 10 or 15 min you would be sure to see whale activity. We saw multiple breaches and for a even closer view there is a nice hike down to the a picnic area near the water. Overall we were very pleased with our stay. We had a wonderful experience at our condo in Pali Ke Kua. The location is absolutely gorgeous, and the condo itself was lovely with hardwood floors, modern conveniences and very spacious being on the top floor. We loved our time here. We had a great time. The unit was better in person than we could have imagined. We also received a lot of help from John (our Concierge) in planning our wedding details. We can't wait to come back. Fifth trip to Kauai and it was amazing again. 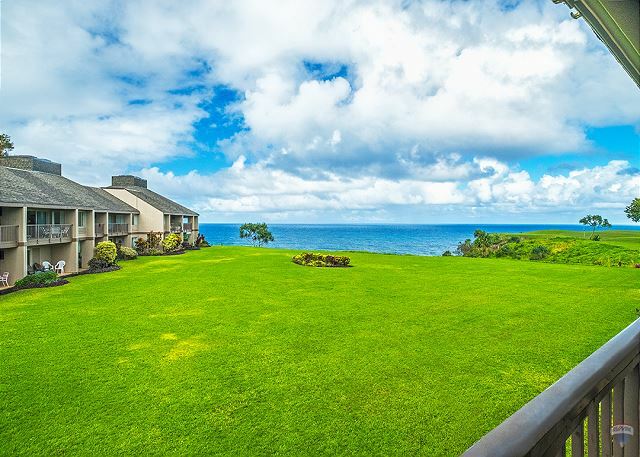 Pali Ke Kua was a nice property that fit our needs and had great views. I would stay there again. The place was wonderful. My mother, sister, daughter and myself stayed here. The downstairs room was great for my mom. It was spacious and had everything we needed. The views were amazing to wake up to. It got a bit warm but we kept the windows open the entire time and pulled the outdoor shades in the afternoon. I can't wait to come back. Princeville was beautiful. We had a great vacation on Kauai. We were 2 moms traveling with 4 teens. 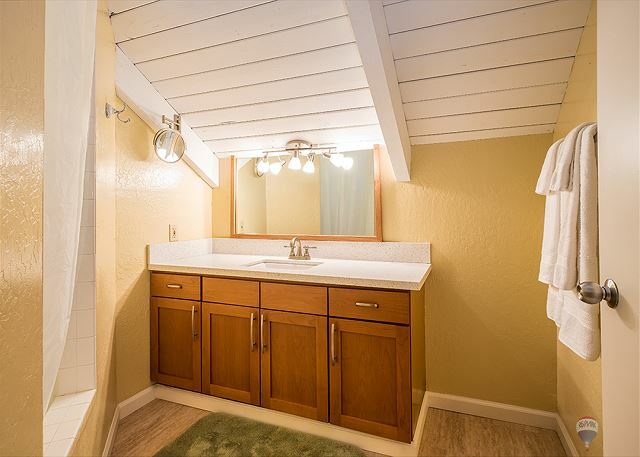 This rental provided good space for us with the kids in the loft with their own bathroom. This rental is a bit worn and dated with no AC, but the price was very reasonable for the great location. The lack of AC was mostly a problem in the afternoon and early evening. We had no problems sleeping as it cooled down at night (loft is warmer than downstairs). The pool and landscaping were very nice, and we enjoyed the pizza restaurant nearby. There's so much to do in this area or a short drive, and every view is beautiful! Love pkk. The location can't be beat. The price was reasonable. They provide many fans but it's still a warm unit given the location and no AC - especially the loft. We were there during May and I imagine mid summer would be pretty unbearable for me. That said it was clean quiet and just right for our stay other than that. We thoroughly enjoyed our week at the Pali Ke Kua complex. The location was fabulous, and the condo was very nicely appointed. Our only complaint would be the lack of a stocked pantry. (salt, pepper, spices, olive oil, etc.) Having to purchase the basic items made our food bills a bit higher than we were anticipating. We always stay in condos so we can cook our own meals, and usually the basics are in the pantry. Other than that, everything was fabulous. We will definitely return to Pali Ke Kua in the future, it was a great experience. The property was in a great location! Loved being on the north coast! It was perfect for what we needed. One thing we would have loved to have was an electric BBQ ?? a guest from Wausau, Wi. does not recommend this vacation rental. We arrived after 11 PM and had no problem gaining access to our room. Upon arrival we noticed the carpeting was stained and spotted in L.R. and D.R. Patio door was not on track properly, and patio screen had holes in it. Kitchen cabinets and woodwork looked weathered and worn, and one door did not close. Area around burners on stove was not clean. Floor in master bath was well worn and looked dirty. Tiles on floor of both shower stalls had mold in grout, and shower drains were rusty/dirty. The master sink did not drain properly and the plug did not close. Shower curtain was filthy and the curtain rings were rusty and dirty. We chose not to use the washer and dryer as both appeared dirty inside and out. The upstairs bath mirror was not useable. Due to slanted ceiling the mirror was only a couple of feet tall and went only up to chest level. We awoke to a very pleasant view the 1st morning, and called Jackie @REMX re: the patio door problem(which was taken care of very promptly). The other issues did not seem "fixable" within the short time we were there so we decided to "live" with them. We did not have any issues w/ noise from any of the other units. 241 seemed secluded to us, and we liked the location. Only 1 time did we have parking issues, which I assume was due to business at HideAWay Pizza Pub. We were satisfied w/ the location/view. We spent most of our time away from the unit, but were disappointed in the overall condition of #241 compared to other places we have stayed in Princeville. A perfect place to stay! Great location and view. We spent a week in unit 241 in October. Great location within Princeville to walk to many beautiful are as such as Queensbath, Hideaway, St. Regis... (I'm sure I'm missing a few) we didn't use the loft/2nd bedroom since it was just the 2 of us, but we enjoyed the space and sitting on the lanai in the morning with our breakfast and coffee looking at the water. I loved having the washer and dryer in the unit. The only draw back is that its set back a little so you don't quite hear the waves. However, its a very clean property and management company was very accommodating. We stayed at Pali Ke Kuo 241 for only 3 nights, but I wish it could have been longer! Access was very easy via lockbox. 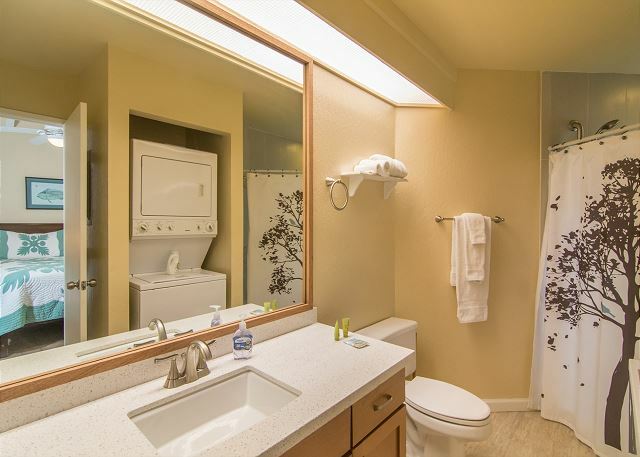 It was a well appointed condo with all of the amenities that a family of 4 could ask for. The pool was nice and not too crowded, we loved having our own washer/dryer and loft space for the kids. Also, it was really nice to have the pizza joint right there in the same complex. It was quite hot while we were there, but the staff had courteously turned on all of the fans before our arrival, so the condo was only moderately hot. :) The only thing I might add would be A/C in main room, although I totally understand the challenges involved. The staff were very kind and contacted me several days later to see if some items they'd found belonged to us (which they did not). I appreciated their taking that extra step for their guests. 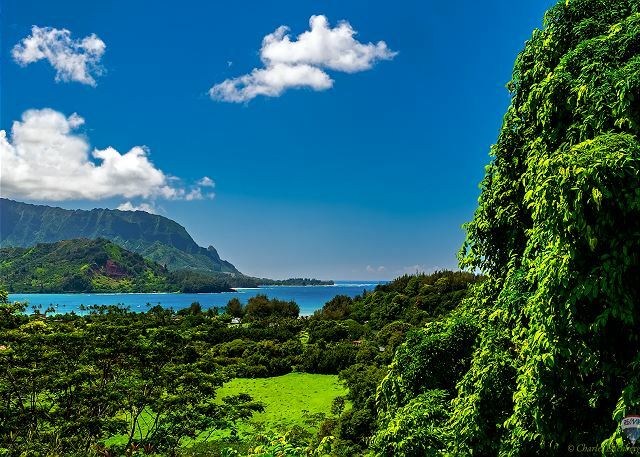 Great location on the most beautiful area of Kauai. Megan H does not recommend this vacation rental. In general the place was just fine. 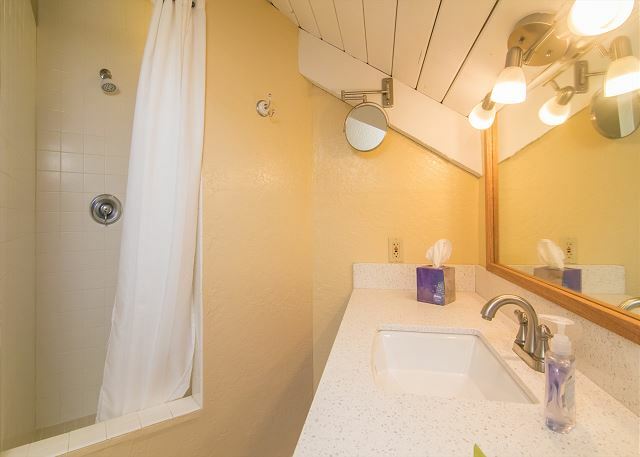 Good location, clean, not overly-Hawaii themed, OK view, nice patio, decently equipped. However, the wifi was very spotty and did not work well when I most needed it. Also, the property should not advertise for $175 / night when the fees bring you to $250 a night. Just be upfront about the cost of the rental from the get-go. I spoke with many other friends also staying nearby for a wedding and no one else had the extensive fees on top of their room price that we had to pay. Very disappointing to find out that we were "had" and could have stayed at somewhere just as nice for a lower price. We enjoyed our stay in the condo. the condo is relatively well maintained. The kitchen is well equipped for making meals at home. Having a boogie board to use was nice. 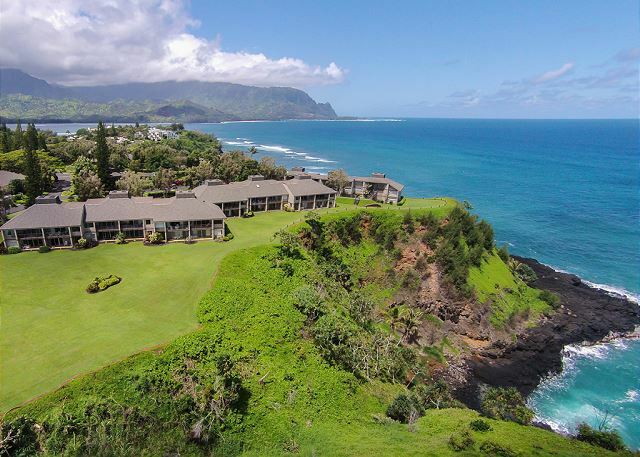 Princeville is a great location for enjoying Kauai's North shore. We experienced some unseasonably warm weather while we were there, as the trade winds were not blowing for several days, and the upstairs loft got very hot. The condo gets full sun, so keeping the blinds closed during the hottest part of the day was essential. We are a family of 5, 2 adults, 3 kids. The condo was perfect. It had everything we needed, plus a beautiful view. Check-in was super-easy. 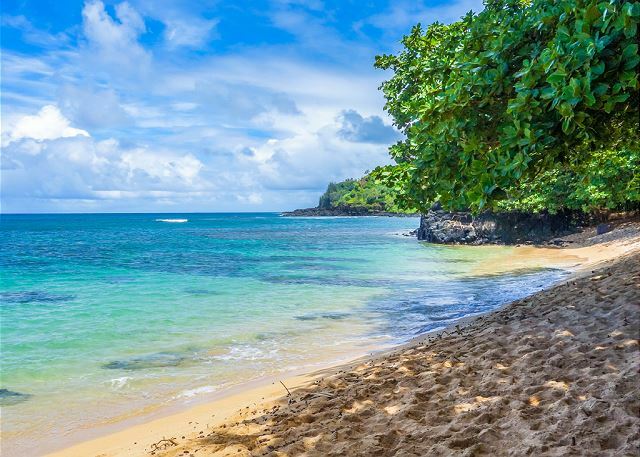 Five minutes drive to Hanalei, 10 minutes to Anini Beach. Walking distance to the St. Regis. Beaches nearby are beautiful, but not good for kids in Winter. We stayed in unit #241 in mid March 2015 and had a wonderful stay. The unit was exactly what we were looking for to house our family of 4. The unit was well appointed, The beds were very comfortable, the unit was clean and contained all the kitchen amenities you could need. 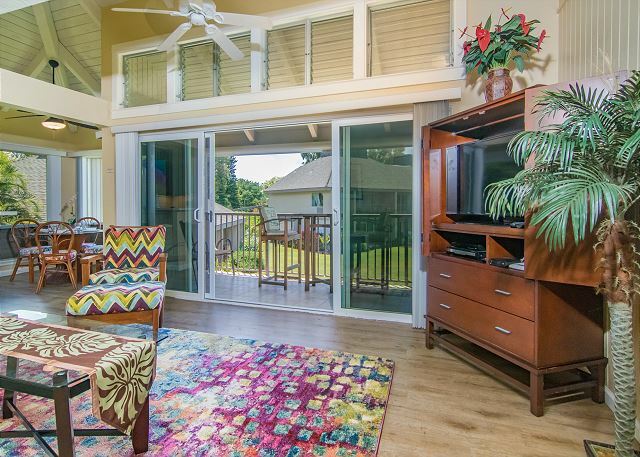 The unit even has beach chairs, beach towels and even a boogie board & fins. The television was a newer flat screen, not the one pictured on the website. There was a DVD player as well as great WIFI access. There are plenty of ceiling fans as well as portable fans for cooling. The unit location is perfect for ocean view and ocean cooling breezes. Overall we had a great experience and loved the unit. We will be back in the future. My stay was beyond my expectations. This property is in a fantastic location. Broad ocean view. Close walk to view Hanalei Bay. Very quiet and serene. Nearby trail to the beach. Short drive to grocery store and restaurants. 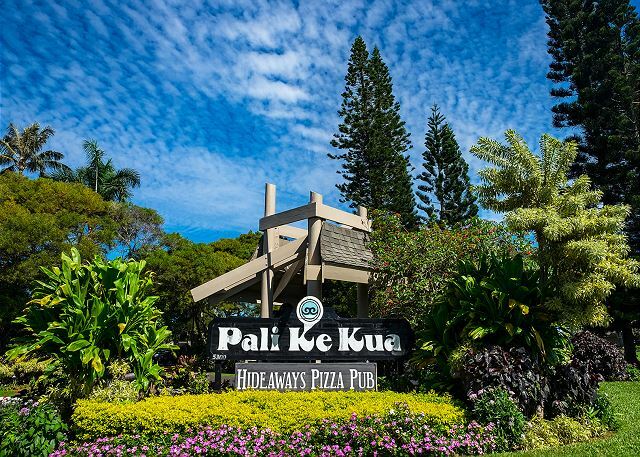 We chose Pali Te Kua because it was close to the St. Regis due to a family wedding. The rental was great and well appointed, if a tad hot in the afternoon. It was obvious that care had gone into prepping the unit for our comfort. We'll be back! The owner even provides a boogie board, beach chairs, and off for the mosquitoes! We come to the islands about 2/yr, the last few years in Princeville. We really like the location of Pali Ke Kua and this unit was set looking out to the ocean and the lawn below, just great. It had all the ammenities we needed, was clean, the property managment staff helpful, and we're already planning our next trip hoping this unit will be available! Thanks very much. 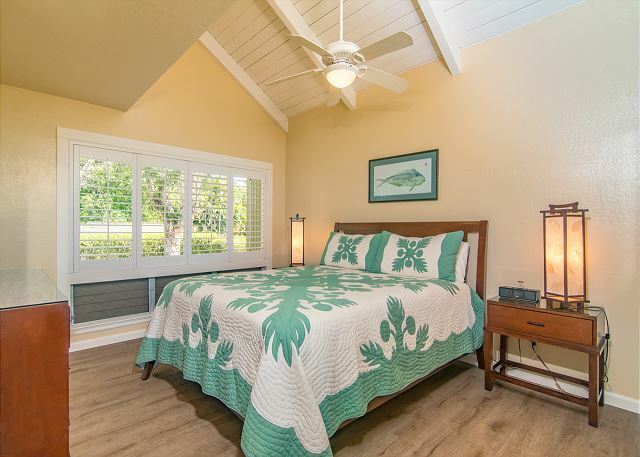 Fabulous location on the north end of Kauai, close to beautiful beaches, magnificent golf courses, incredible scenery and the quaint but vibrant town of Hanalei. We were lucky to have arrived when the humpback whales were present and thoroughly enjoyed watching them from our balcony as they surfaced and breached out front. An important thing to keep in mind is that, being near the extreme north end of the island, travel to Liuhe and to the south end of the island can take a while. But the amenities on the north end more than made up for that, we felt. 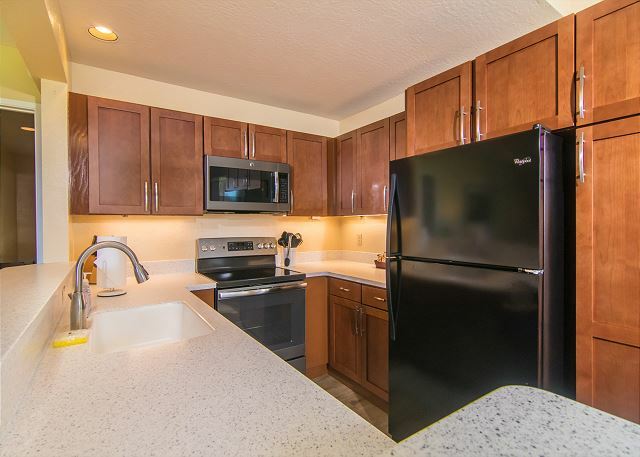 Unit #241 was spacious, clean and equipped with modern kitchen appliances, as well as WiFi and HD TV. Consequently we were able to buy and store groceries and cooked many of our own meals, making this a very economical vacation for us. When we arrived at the unit, there were a few minor problems (e.g. screen door wouldn't slide) that were efficiently dealt with by the property management company. Unfortunately the dishwasher was out of commission for about a week pending repairs, but the owner agreed to refund us a reasonable amount per day, and the property manger did its best to have it repaired as quickly as possible. On the whole, a great place to be, and a great vacation. Thanks! Relaxing condo - Great base for north side of island. My wife & I stayed here after our wedding on Oahu. We were very pleased using this as a base for exploring North Kauai. 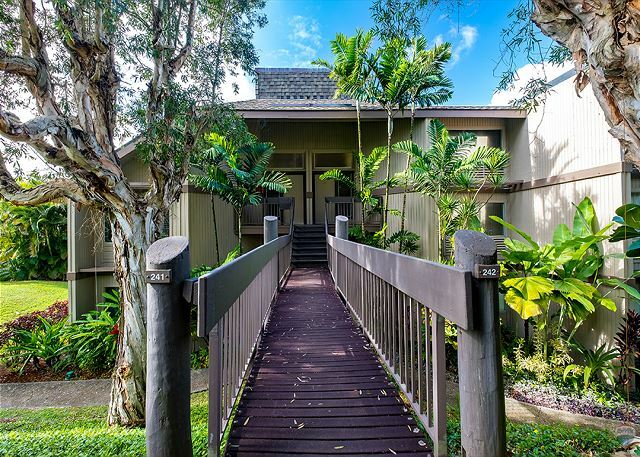 It is a slightly older condo which is great because it is one of the closer complexes in Princeville to the cliff overlooks of the ocean and the secret beach. It does lack 1 main amenity (A/C). They did have 3 floor fans to help the ceiling fans. We were out during the heat of the day and were comfortable in the mornings and evenings. The condo is large and has updates that we're not in the picture when we booked. Updates include, new flat screen TV in family room, new kitchen counters, new kitchen sink and faucet. 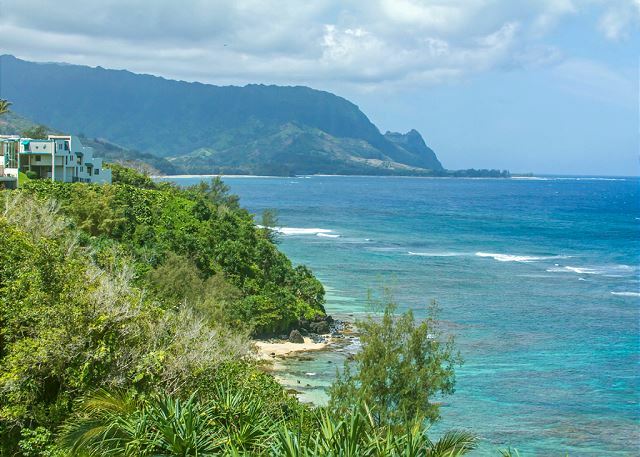 It is a very short drive to Hanalei and not very far to the airport. Driving to the west and northwest side of the island can be a long trip. Overall - pleased. Not the ritziest condo you can rent, but location is great, it was very clean and staff was helpful. Mostly I was quite happy with my stay: the place was reasonably clean and maintained, with decent furniture, and for the price, was actually excellent. The location was great, too. There are only two issues that were of any real concern to me: 1) As a woman who was staying there alone, I was conscious of security, and felt that breaking into the front door would've been quite easy. 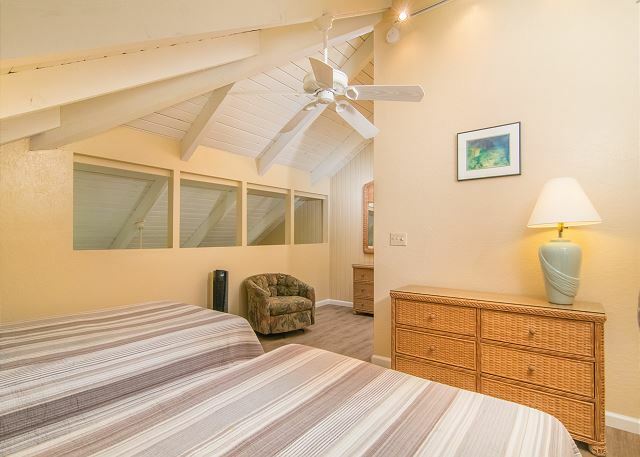 2) The place did not have air conditioning which I have found to not normally be an issue on Kauai, but in this condo at this time of year, it did render the second floor (containing one of the two baths and bedrooms) completely uninhabitable because of the heat. Fortunately, since it was just me staying there, I just didn't go upstairs, but for anyone who would plan on using that second floor, it would've been misery for them because--no exaggeration--the temperture would rise to over 100F up there during the day. Even on the main floor where I remained during my stay, the temperature would be about 85F during the day with all the windows open to try to catch the cooling breezes, but with not enough help from that with an outside temperature in the high 80's to low 90's. 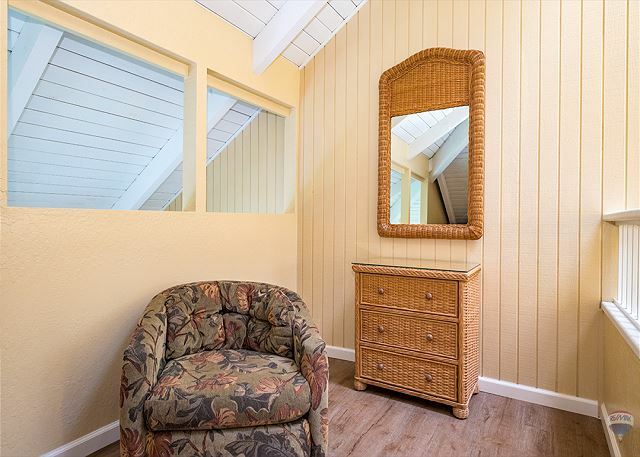 Otherwise, the place was pleasant, clean, well-located, with decent amenities, and suited my needs very well -- especially since I didn't need to use the otherwise unusable upstairs bedroom and bathroom. I really like the location of the Pali Ke Kua condo's. 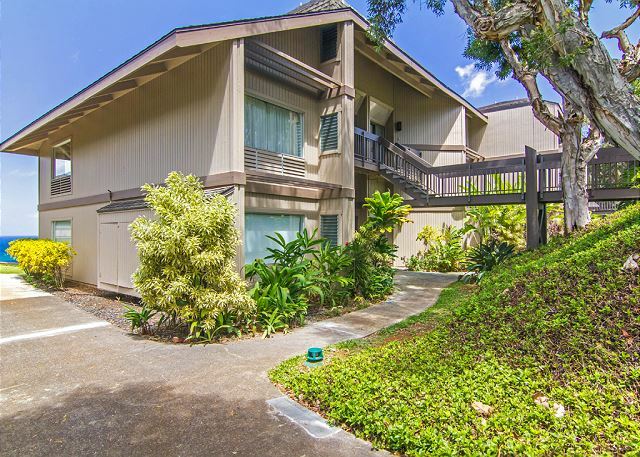 Easy walking distance to the princeville beach, view of the ocean and easy access to a walking trail. We stayed in unit 241 which was clean and very nice inside. A little worn in places but overall very nice. Another positive is the 1000sq feet and the two beds in the second bedroom making it perfect for a family with more than one child. On the downside the Pali Ke Kua is a very high density condo building that was built before insulation was required so get used to hearing your neighbors talk, shower, flush their toilets etc. If they come home drunk you get to enjoy that also. I've stayed at the Pali Ke Kua twice and both time I have thought the value is excellent considering the views and location. Just be aware it isn't the most quiet location. The location was superb and it was great having the path to the beach (although very steep). The condo itself was adequate, but we felt a little more attention to detail would have been good. For example, the bottom lock on the door never did work, even though someone came to fix it (He looked at it, said it works, and left without even trying it), the toaster only toasted one half of the bread, the plug in the bathroom didn't work, the light in the shower was out, we had to call housekeeping to get more soap (the little tiny hotel size soap), and were informed that we were supposed to provide our own hand soap(really? We've stayed at many condos, and that has never happened) I must add that housekeeping DID bring us some soap anyway. Just little things like that that were a little annoying, but nothing can detract from the beauty of Kauai and the great location. We found the condo to very be comfortable, and well equipped. We loved being able to eat breakfast on the patio and watch the whales blow. 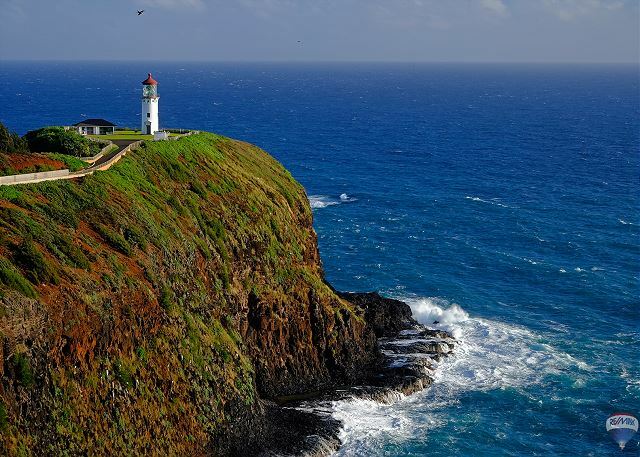 It was perfectly located to explore the northern end of Kauai. Comfortable,clean,relaxing. Everything we needed had already been thought of and was in the condo for our use. It was great! Thank-you! We had a wonderful 3 week vacation. 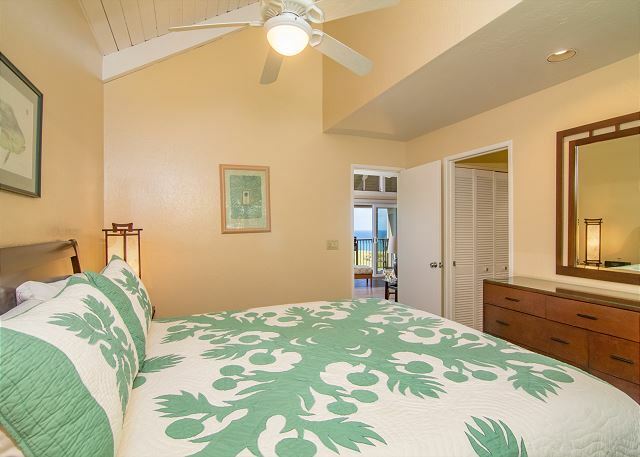 The condo was very comfortable and spacious for a family of 5 and we enjoyed the beautiful ocean view from the lanai. It was very quietin the evenings. It was also great to have beach towels and chairs to use during our stay. Our only regret is not being able to stay longer! 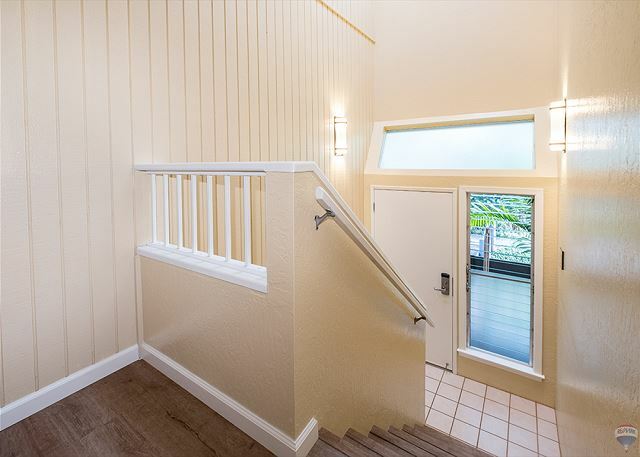 Wouldn't recommend this property during summer, because during the last half of the day the sun shines directly in through the lanai-side of the place and really heats it up, even with ceiling fans going. 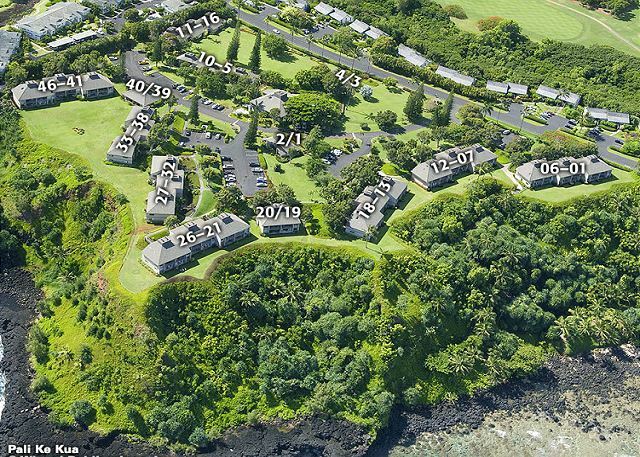 In the winter, when it's cooler, and if there are good tradewinds, this property would probably be fine (temperature-wise). Beyond the heat during the summer, it's a fantastic place. 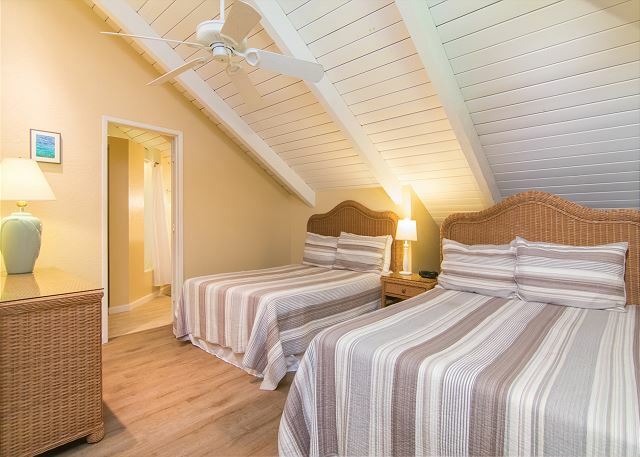 In general, we were satisfied with the unit and very happy that we did not stay in a hotel in Kauai. There were a few items worth noting, though none had a major impact on our stay. *the room was not ready at 3:00 when we arrived. If we had waited for it to be fully prepped, it probably would have been ready by 4:30 though we offerred to finish a few things in order to begin relaxing. *One cabinet kitchen cabinet door hinge was broken. *the vent above the microwave was broken and fell off several times. *holes and gaps in the screening allowed mosquitos in which ate us up at night. Beyond the above, the stay was nice, complex was quiet, view was beautiful, and the consumables (soaps, detergents) provided were adequate and appreciated. Overall we were hapy enough with the accomodations, once we removed the crisper doors on the refridgerator so the door would stay closed. The place was clean enough, just the usual ants and centipedes that you usually find in the tropics. The path to the beach was very steep and it was almost easier to take the car to another beach then walk down to the one near the condo. The view was ok, the units on the west end had a spectacular sunset view. The master bedroom and all the beds were very comfortable, showers were great. Parking was good, overall I would rate this property as good. We were very satisified with the condo. It had a beautiful view of the ocean. It was roomy and had all the amenities we needed. The location was very quiet and had a restaurant located on site. The hike down to a fairly secluded beach was a long downhill(uphill again!)stroll. I enjoyed the paths that were near the golf course. It was a long drive into Poipu,lots of traffic. There are plenty of activities and things to see on the island or a great place just to relax. We had a great stay!!! A very pleasant stay in Paradise! We can't wait to come back very soon!